Sometimes, unexpected gestures of kindness can make a significant impact — and this local school bus driver has done just that. Trudy Serres, an elementary school bus driver in Wisconsin busses the same group of students, ages 5 – 10 years old, to and from school daily. However, Trudy goes beyond just dropping students off at their stop, she also makes sure that they leave the bus feeling treasured and special. 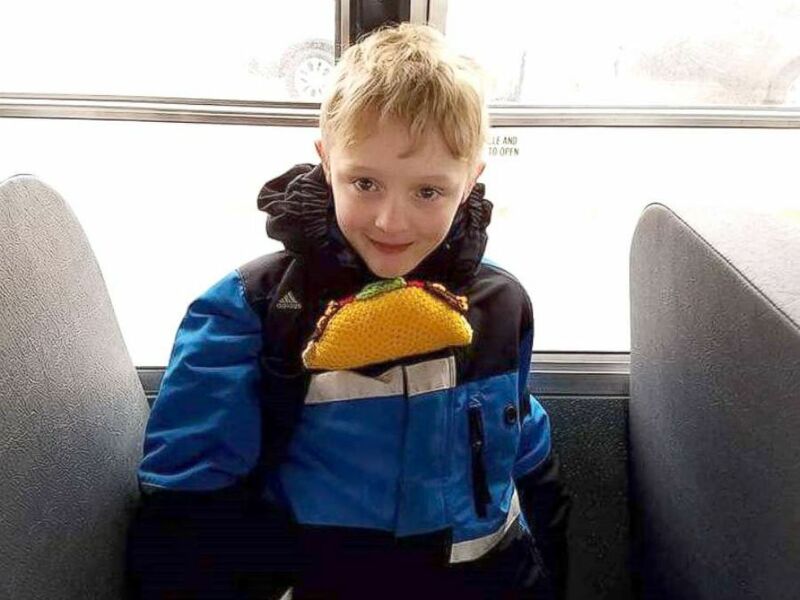 Crocheting has always been a hobby for Trudy, and one day, she was dared by a 10-year-old boy, named Vincent, to crochet a taco — his favorite food. Within record time, she delivered the special request to the young boy, and the requests started coming in from other students. Kindly, Trudy took note of the various requests the children had, including animals, Star Wars characters, and even an imaginative pink ‘Troll’ doll. 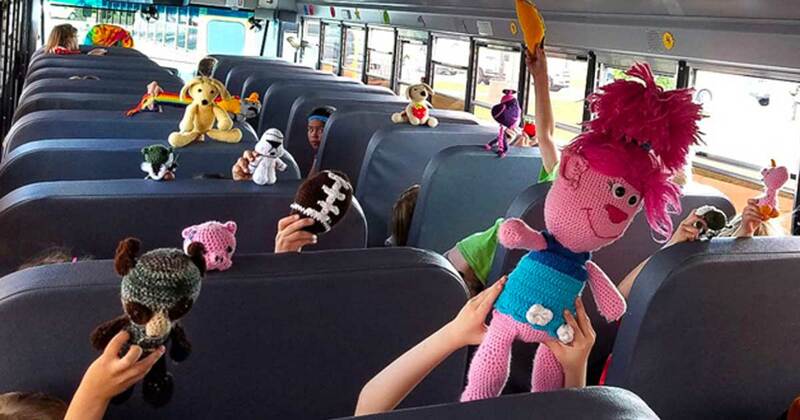 Trudy surpassed all expectations by crocheting 34 custom-made toys, or “stuffys,” for 34 of her special students. Trudy even went to extra mile to crochet a budding hockey player’s team colors and personalized jersey number on his stuffy. 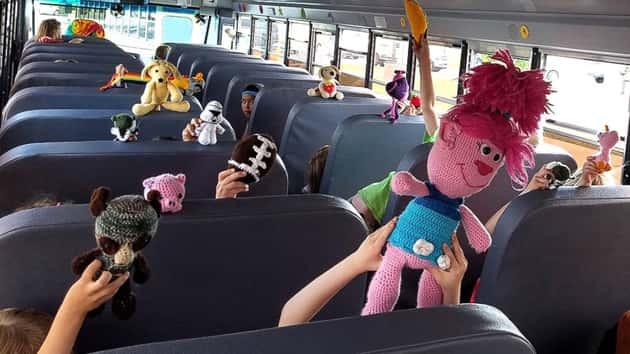 When Trudy completed one of these delightful gifts, she would place the toy on the dashboard of the bus as she picked up the particular student. “They’d be grinning from ear to ear when they saw them,” she said. 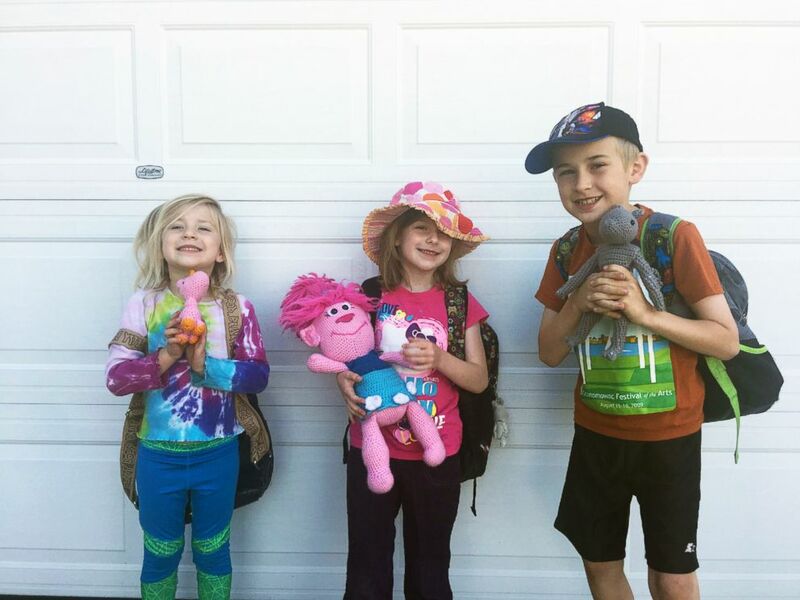 The students have become very attached to their personalized toys, and both students and their parents have demonstrated great gratitude to Trudy. What’s also special, is that Trudy is able to exercise her creative passion for crocheting to positively influence the community around her. Trudy Serres serves as an example to all of us, in that, she has made a meaningful impact on those around her, demonstrating that gestures of kindness, large or small, never go unnoticed or unappreciated. Please SHARE this thoughtful and sincere woman with your friends and family.